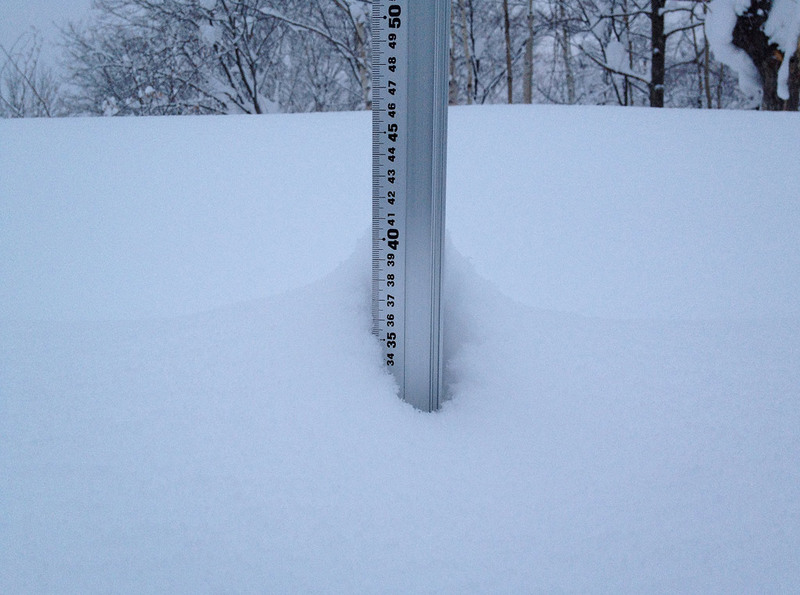 *38.5cm of fresh snow as fallen in the last 24hrs in Hirafu Village. At 7:15 today the temperature was -9°c. Heavy snow fall hit the region yesterday and has continued unabated.This morning the the snow seems to be coming down even harder if that is possible! There is a moderate wind which may effect some of the lifts higher up on the mountain but it it is safe to say it will be incredible on the mountain. As the snow continues to pile up the skiing and boarding is just getting better and better. Here are a couple shots from a morning session in Hirafu yesterday.